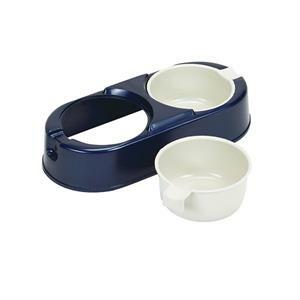 The Easy Diner brings easy feeding and simple cleaning to the food dish. This dishwasher-safe combo food/water bowl has two detachable bowls for your convenience. Perfect for your small to mid-size pet. Includes two removable cups for easy filling. The cups are dishwasher safe and each have a 2.5 cup capacity. Size - 13" x 6" x 3"